Sometimes we float along through life not really thinking about where we are going or what we are doing. Sometimes we do what someone else wants us to do – our partner, our parents or society. Sometimes we settle for something less than what we deserve. And sometimes we do what we are here to do. We have a clear direction, and we set our path with our intent and goals. Our vision is what we want for our lives. It is who we want to be, what we want to do and what we want to have. It is the dream that is unconstrained- it is free and unlimited, big and inspiring, satisfying and purposeful. We live a balanced life when all areas of our lives are being addressed and given importance and time. Some of the different areas that we need to keep in mind are our health, friends and family, significant other (partner), personal development (beliefs/faith/spirituality), fun and leisure, home environment, career and money. Spending a lot of time in one area may mean that other areas are missing out. Spending too much time at work mightn’t leave enough time for exercise (health) or fun. “What do you do for fun?” is a question that is often met with sniggers and a reply of “I don’t remember the last time I had fun”, which is a clear indication that life is out of balance. All areas of life are as important as each other as any area that is lacking creates imbalance and potential lack in others. Writing down a vision gives it power. The physical act of expressing a vision and writing it down activates the part of our brain which filters out unnecessary information and focuses on the important stuff. The Reticular Activating System or RAS seeks information that highlights people, information, opportunities that can move you towards your goals and vision. It’s like when you buy a new car and then you see your car everywhere. It also filters according to your belief and value system. You are more likely to achieve your goals If they resonate with your values. Turning on the switch, by training your RAS and using your subconscious to help you achieve, is called setting your intention. Putting it out there! When we have a vision it gives us a direction in which we want to go and ideas about making goals to get there. 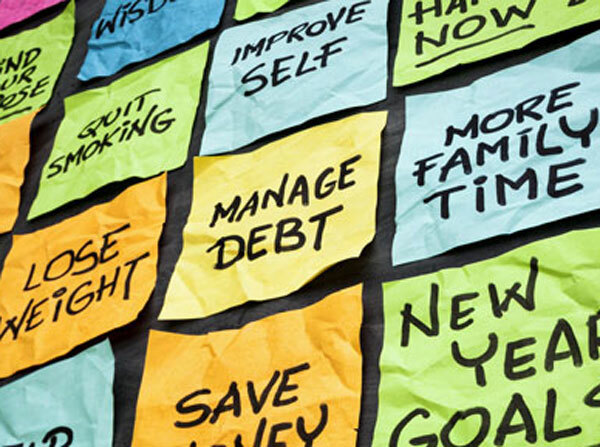 When making goals – be they short, medium or long term – it’s a good idea to make them SMART. A regular goal might be…. Making it into a SMART goal might look like…. “Our family enjoys an afternoon of water skiing together every fortnight during summer”. “Our beef enterprise makes more money”. “Our beef enterprise at …Station, has an EBIT of $200,000 at 30 June 2019″. 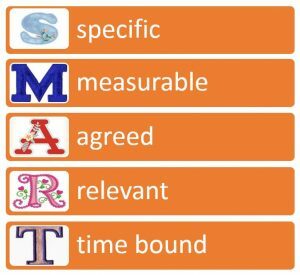 Breaking it down into further SMART goals might look like…. “The breeder herd has a gross margin of $250/LSU at 30 June 2019” or “Our beef enterprise divisional overhead ratio is reduced to 30% at 30 June 2019”. These goals could then be chunked down into smaller goals or an action plan which will ultimately lead you to your original goal. Our brains respond best to positive and present language. “I am healthy, active and fully functioning”. Goals also tend to work better when they are inspiring and evoke a positive emotion in you when you think about them. Written by RCS Vision and Goals coach, Katie Zerner. 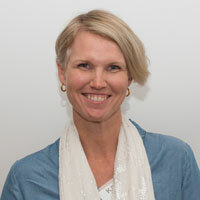 Katie is a life coach, physiotherapist and owner of Central Balance Murgon.